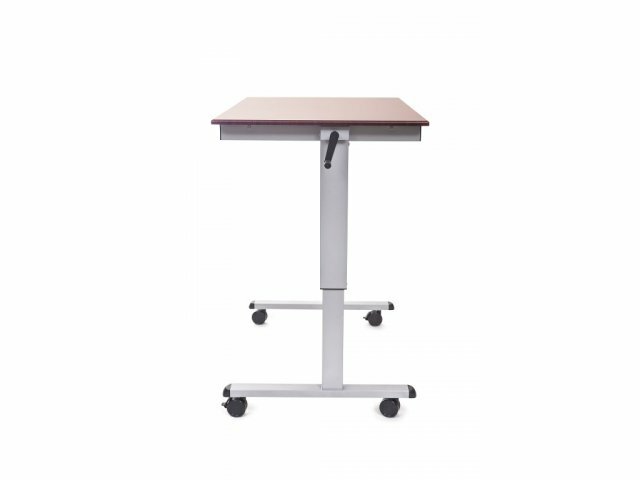 Luxor Crank Standing Desk 60"
An ample work surface makes this standing desk a great space for programming or project planning. With a straightforward design for effortless adjustment, Luxor Crank Standing Desks are a convenient and healthy choice for any work space. Smooth crank adjustment allows you to change the height of the worksurface at any time, with a continuous range for a perfect fit. The desk automatically locks in position when you stop turning the crank. 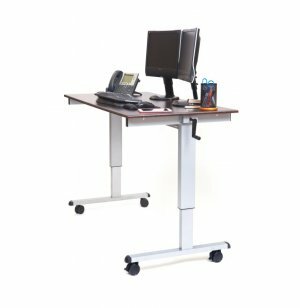 Mobile standing desks create a flexible work environment which allows professionals to enjoy their ideal configurations and adjustments all day long. 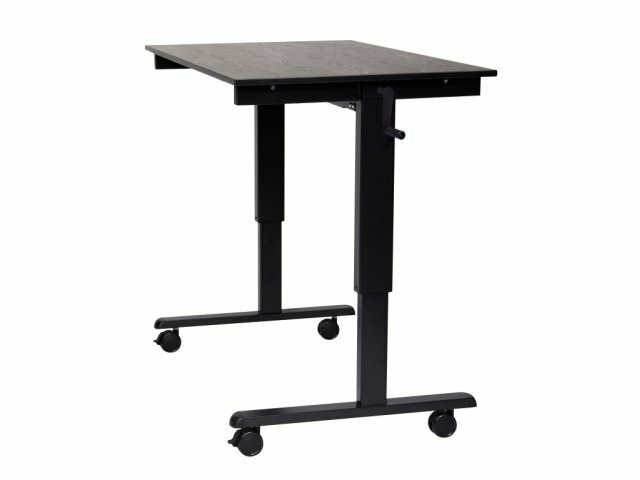 With casters that lock into position, you can roll a few desks together for collaboration or brainstorming sessions and roll them right back into private offices when the sessions are finished. 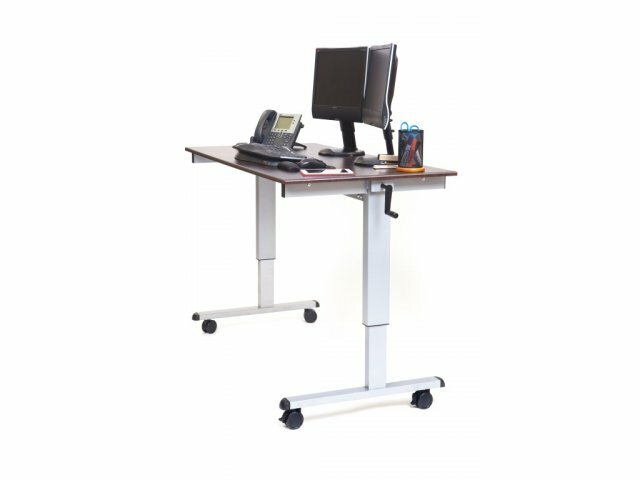 With stand up desks in the office, you can add variety to the workday while increasing focus and promoting health. Smooth Adjustment: Innovative crank mechanism turns smoothly and effortlessly. 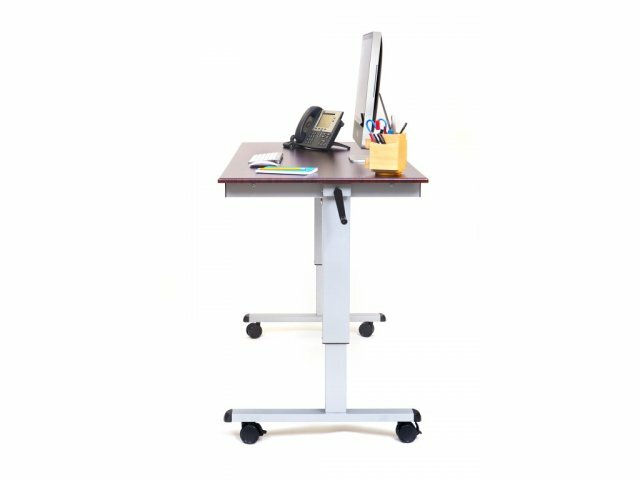 Wide Range: Height adjusts continuously from 29.5″-45.25", accommodating sitting or standing. Healthy Choice: Stand up desks promote better posture, reduced back and neck pain and other health benefits. Sturdy Support: Stands on a steel frame with a powder-coated paint finish. 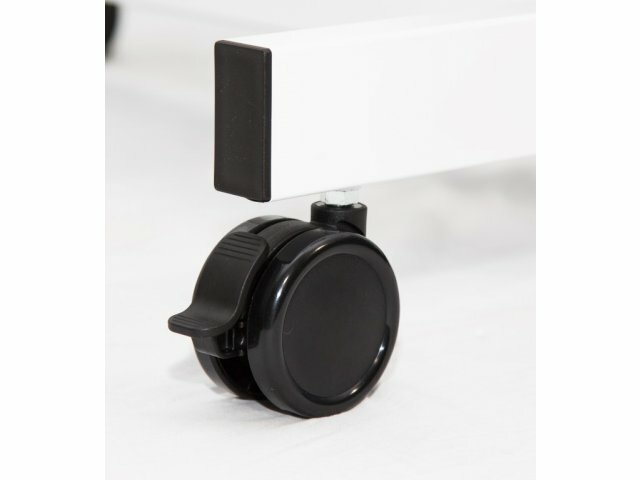 Smooth Moving: Rolls into place on casters with two brakes to lock into position. Full Package: All tools required for assembly are included.